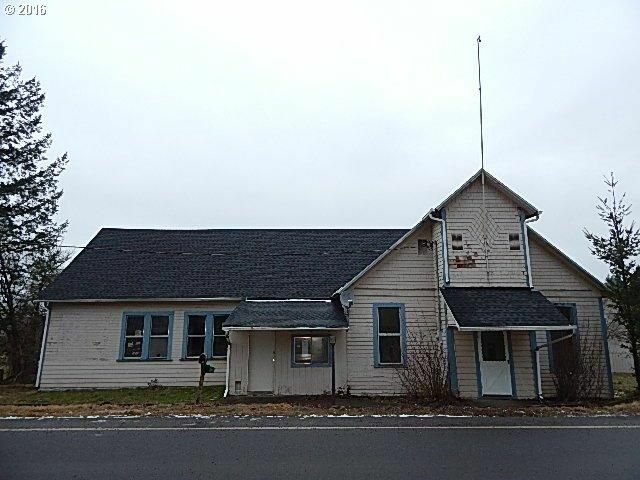 Once a schoolhouse, this HUD owned home is full of charm, character and possibilities! This home has 2,455 square feet of living space with 4 bedrooms + loft, 2 baths, a large living room with high ceilings, an open kitchen and large dining area. Detached garage with storage/shop area. Located just off 503 it makes for an easy commute.